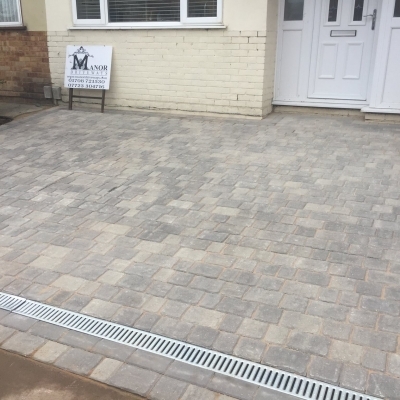 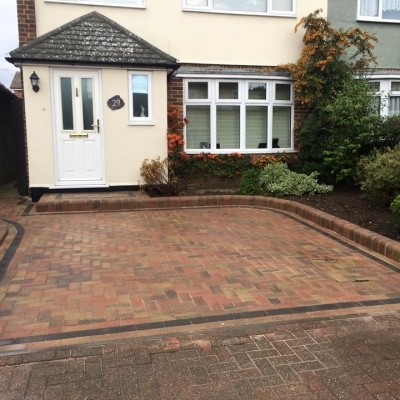 Established in 1980, Manor Driveways is a family company which has over 25 years experience in the Patio and Driveway profession, and provides landscaping and driveway construction to clients throughout Essex and beyond. 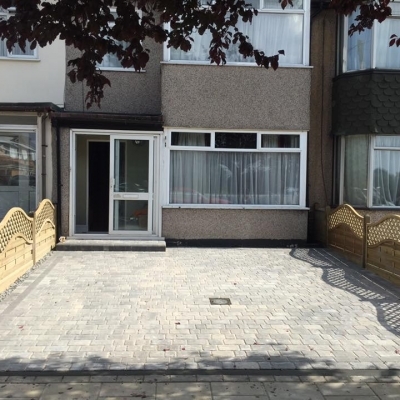 We are located in Hornchurch and specialise in block paving, natural stone slabbing, permeable paving (in conjunction with 2008 laws) ornate brick walls, fencing and turfing.We offer a free no obligation quotation, and a 7 YEAR GUARANTEE on all installations.Using only the very best products, the end results will not only look stunning but last a life time. 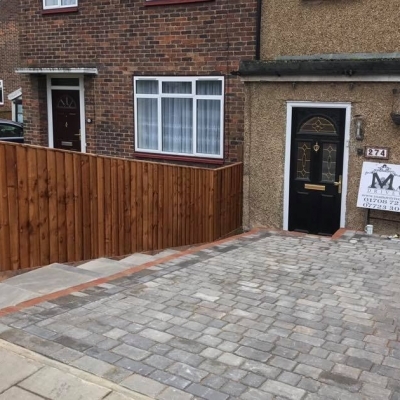 Full sets of steps and brickwork can be made to look fantastic in no time. 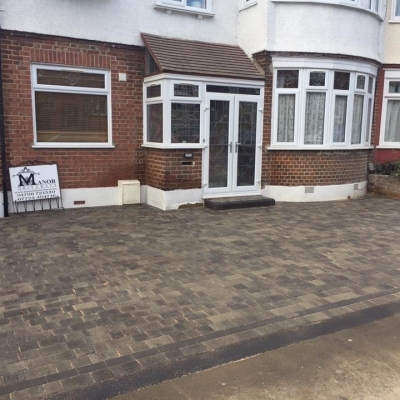 We can match the rest of your driveway in whichever way you choose. 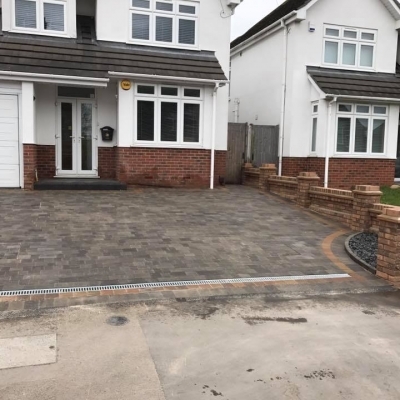 With many designs and bricks to choose from you will probably take longer to decide than it will for us do the work! 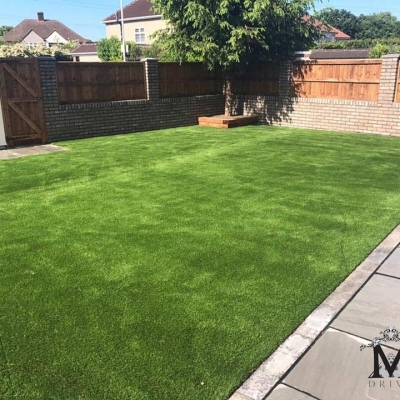 Re-turfing your lawn can improve your whole gardens appearance. 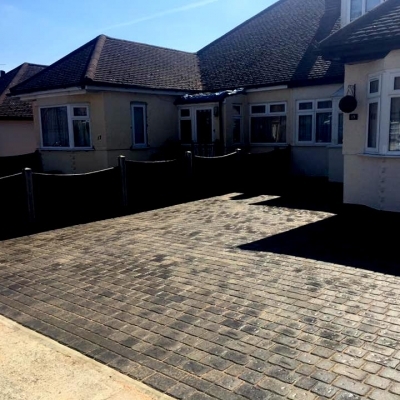 Some gardens have huge problems with moles and ants and many other problems that can ruin a lawn after time. 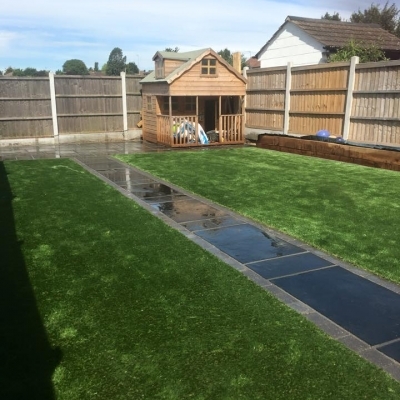 The last resort is to re-turf the lawn.